Although their campaign has concluded, if you would still like to make a donation to support Pitt Women's Ice Hockey, you may always do so here. 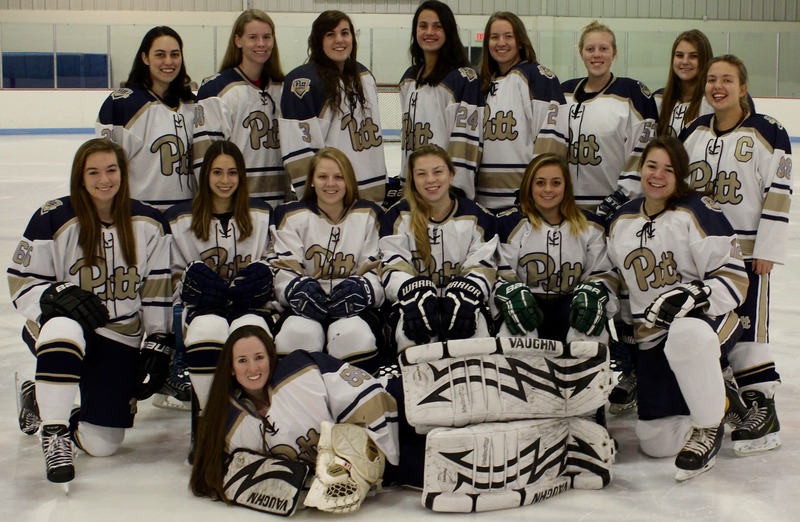 Pitt Women's Club Ice Hockey is a team of passionate undergraduates that are excited for the ability to play a high level of hockey this season. We will be playing in the College Hockey East League and the American Collegiate Hockey Association's Women's Division II. We are very proud members of Pitt Women’s Ice Hockey’s team and are looking forward to setting a firm foundation for the second year of women’s hockey at Pitt and all the future Lady Ice Panthers. We are thankful for our exceptional and passionate volunteer coaches, Jim Napoli, Hal English and Ron Walkowski, whose enthusiasm for hockey will push us and our team to new heights. We are excited to show the City of Champions what we’re made of! A donation at the level of the Penguin’s #30, Matt Murray, will help us SAVE for a pair of hockey socks for one player. Thank you for your support! A donation at the level of the Penguin's #62, Carl Hagelin, will help us pay for gas for an away weekend. Thank you for aiding in our ability to travel and compete against other top collegiate club teams! A donation in honor of Phil Kessel's number will help us pay for a game jersey so we can wear the Pitt logo proudly. Thank you for helping us look our best as we play our best! A donation at Ian Cole, #28, will buy us one hotel room for a good night's rest to get us ready to beat our opponents! Thank you for helping to set us up for success. A donation of $171 for Stanley Cup Champion's #71 will contribute greatly to the costs associated with travel and lodging. We really appreciate your generosity! A donation in honor of Marc-Andre Fleury's #29 will help greatly in paying our ice dues for one practice. Thank you very much for helping us succeed! A donation in honor of Kris Letang's #58 will do a great deal to help us pay for the ice for one home game to show the Steel City what we can do! We greatly appreciate your philanthropy! A donation in honor of the famous #87 would be so greatly appreciated as it will contribute to the price of the ice and referees of one home game. Thank you so much for your open-hearted and magnanimous contribution to our team!